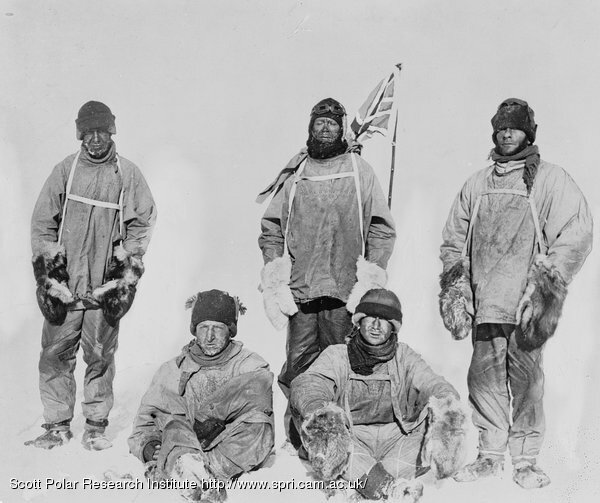 Summary text: Scott, Oates, Evans, Bowers and Wilson pose for the camera at the South Pole (variation made by Ponting from original photograph taken by Henry Bowers). This entry was posted on Thursday, February 5th, 2009 at 8:03 pm	and is filed under Photos: British Antarctic Expedition 1910-13 (Ponting Collection). You can follow any responses to this entry through the RSS 2.0 feed. Both comments and pings are currently closed.